When his father showed him a compass for the first time, little Einstein was fascinated by how the contraption worked. That moment marked his life forever. Why did the needle point to the same place even when the compass was moved in a different direction? The magic of physics had captivated that little boy. “That experience made a deep and long-lasting impression on me. There must be something deeper behind things”, the physician said years later as he reminisced about that moment. The compass is a symbol of the scientist’s career and history. In fact, there is even a movie in production with this title (“Eintein’s Compass”). Einstein was a worldly man. He travelled to and lived in different countries (Italy, Switzerland, Belgium, UK…), and he was also granted citizenship in 4 different states over the course of his life. The turbulent political situation in Europe (he left Germany due to Nazism) and his scientific career (he was linked to academic institutions in Prague, Berlin and the US) were the main reasons for moving. He was born a German in the Kingdom of Wurttemberg (present Germany). He renounced his nationality to avoid military service, which is why he lived as a stateless person for five years. Einstein inherited his love for music from his mother, Pauline, a talented pianist who insisted on there always being music at home. Music was not only a hobby for the scientist, he used it as therapy in his scientific work. 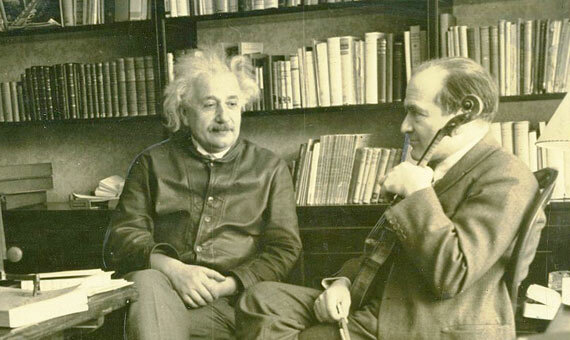 Elsa Einstein, his second wife, explained that “music helps him when he is thinking about his theories”. Besides, in his love of music he also coincided with other greatest physicists of the twentieth century, such as Max Planck and Werner Heisenberg, who were excellent pianists. 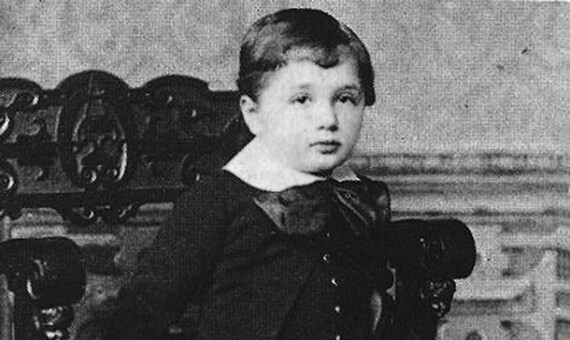 As well as playing the violin since he was 6 and discovering Mozart at the age of 13, Einstein’s links to music went much further. In 1936 he met Bronislaw Huberman, an internationally-acclaimed violinist of Jewish origin who went on to become founder of the Philharmonic Orchestra of Israel. On a fundraising trip to the US, Einstein became his main “partner”. It was 1914 and after 11 years together, the marriage between Albert Einstein and Mileva Maric was on the rocks. Knowing that the romantic aspect of his relationship was hopeless, Einstein proposed a strange deal to the lady who was still his wife, with the intention of maintaining a cohabitation subject to certain terms and conditions that would allow them to stay together for the sake of their children. 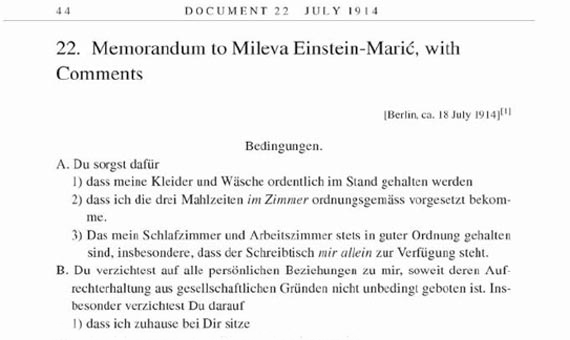 Mileva accepted the conditions, but it was to no avail as a few months later she left Einstein in Berlin and moved to Zurich with her children. 5.The father of the atomic bomb: how much truth is there in it? Albert Einstein, Atomic War or Peace, 1945 / Source: Historical Society of Princeton. The figure of Einstein is falsely associated with the development of the atomic bomb and nuclear energy. Although his equation E=mc² explains the energy released in an atomic bomb, it does not explain how to make one. The scientist (Swiss at the time) never participated in the project that developed the atomic bomb, Project Manhattan. 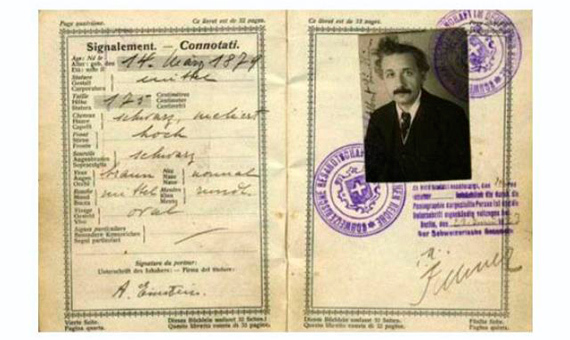 In fact, in 1940 the US Army Intelligence denied Einstein the necessary security authorization to work on the project. His only involvement was “an isolated action”: sending a letter to the President of the United States, Franklin D. Roosevelt. Einstein knew that German scientists were studying the potential of uranium and nuclear energy and he urged the President to do everything he could to win the battle from the United States before the Germans cracked it. 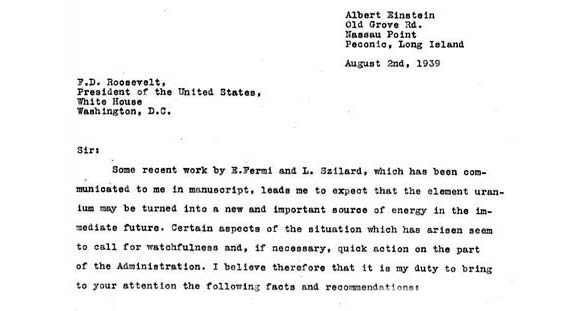 In light of the accusations and reproach over his involvement in the history of the atomic bomb, Einstein always described himself as a pacifist and defended his only isolated action, the letter to Roosevelt, as a desperate measure. Albert Einstein, Newsweek magazine, Museum of American History. Have you been left wanting to know more? Much remains to be said about Albert Einstein! Spies, a stolen brain and much more in the second part of this article. Tesla's Inventions: Fact or Fiction?